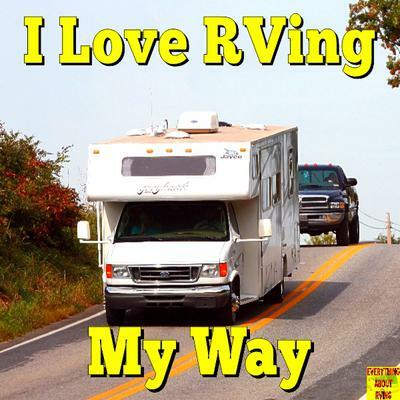 We love RVing and when we go, we love to do it our way. We drag race, so when we go to the track 300 km away, we go the night before to the track and pull into an open site and park and go to bed and relax. In the morning we find an appropriate space to park that is allowed. On travel trips we use rest stops and parking lots while we are getting to where we are going, drive until we are tired, stop, and make supper, go to bed. In the morning I get up early and let the dogs out, make coffee and start driving. When the wife gets up, usually a couple of hours later, we have breakfast and plan on the next leg of the trip. When we get to our destination, then we find an RV park to set up. When we do weekend campouts, we book ahead of time and book a site to set up on. On shopping trips to the big city (300 km), we use the Walmart RV site and shop till we drop. On trips to visit our son's family, we just park in front of his house. All in all, we do 15-20 trips a year. We are from Canada so we have a limited amount (May-Oct) of weekends that are warm but a little cold is OK, that is why we have a furnace. Sometimes we just go out to one of the nearby lakes and just have a picnic and hike a little in the nearby National Parks (Jasper National Park (80km), Mount Robson park(200 km), Columbia ice field (180 km), William A. Switzer Provincial Park (25 km), Obed Mountain Lake Park (25 km) and many local areas as we are in the Athabasca River watershed (2 km) from our house and we can see the Rocky mountains from our yard.